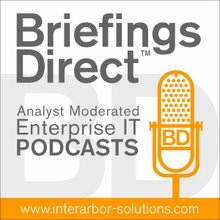 This enterprise case study discussion from the show floor focuses on Seagate Technology, one of the world's largest manufacturers of rotating storage media hard-drive disks, where the application development teams are spanning the dev-ops divide and exploiting agile development methodologies. Katz: Seagate is one of the largest manufacturers of rotating media hard disks and we also are into the solid state [storage media] and hybrids. Last quarter, we shipped about 50 million drives. That continues to grow every quarter . In the last couple of years, with the explosion with cloud, with the jump to virtual machines (VMs), virtualization of your data center, and also global operations, global development teams, new protocols, and new applications, most of what we do, rather than developing from scratch, is integrate other people’s third-party applications to meet our needs. That brings to the table a whole new litany of challenges, because one vendor’s Web 2.0 protocol standard is completely different than another vendor’s Web 2.0 protocol standard. Those are all challenges. Also, we're adopting, and have been adopting, more of the agile development techniques, because we can deliver quanta of capability and performance at different intervals. So we can start small, get bigger, and keep adding more functionality. Basically, it lets us deliver more, more quickly, but also gives us the room to grow and be able to adapt to the changing customer needs, because in the market, things change every day. The number of applications we have in production is in the 300-500 range, but as far as mission critical, probably 30. As far as some things that are on everybody’s radar, probably 50 or 60. In Business Servive Management (BSM), we monitor about 50 or 60 applications, we also have the lower-level monitors in place that are looking at infrastructure. Then, our data all goes up to the single pane, so we can get visibility into what the problems are. Gardner: What sort of paybacks are you expecting? Gardner: Is integrated ALM helping you move the cloud and also adopt other IT advancements?